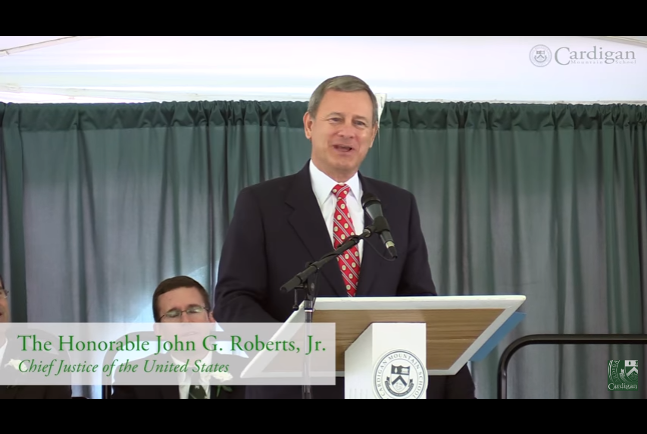 In June, 2017, the graduation class at Cardigan Mountain School in New Hampshire was host to Supreme Court Chief Justice John Roberts who was invited to address the ninth-grade graduation class. His son was a member of the class. Although a private boarding school, Roberts told the students they were privileged to attend the school, but not “to act like it.” Excerpts from his speech speak volumes in today’s society. We’ll leave it at that. Nothing further needs to be said.